Tax Reform and Recovery. Local housing groups in Texas and Florida sent a letter to House Speaker Paul Ryan in opposition to the current House Republican tax plan, saying it would hurt disaster recovery efforts. The House tax plan eliminates the tax exemption for private activity bonds (PABs), essentially eliminating 4% Low Income Housing Tax Credits, both of which help fund infrastructure projects and promote private-public partnerships. In the letter, the Florida Housing Coalition and the Texas Affiliation of Affordable Housing Providers stated that eliminating PABs would “be putting vital resources at risk at a time when they are needed to repair and rebuild homes of those affected by Hurricanes Harvey and Irma.” Last week, the Miami Herald published a letter to the editor by Jaimie Ross (CEO of the Florida Housing Coalition) opposing the elimination of PABs. In addition, last week, Diane Yentel (President and CEO of NLIHC) wrote about the House tax plan, commenting that it would “increase the severity of the affordable housing crisis by eliminating a critical resource for affordable housing development and preservation; siphon off savings from needed reforms to the mortgage interest deduction to pay for bigger tax breaks for corporations and wealthy households; and significantly increase the likelihood of severe cuts to the entire social safety net in the years ahead. 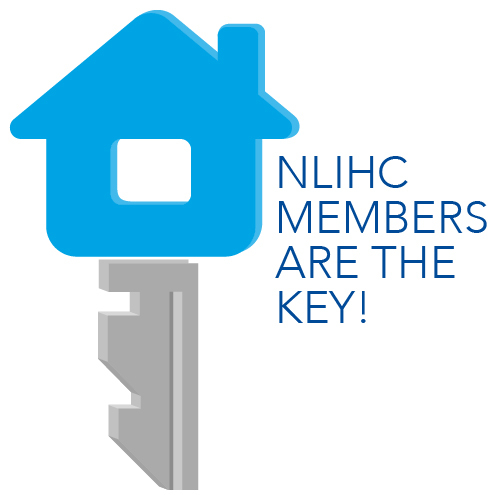 On November 14, NLIHC issued a call to action urging NLIHC members to call their representatives to oppose the House tax bill. On November 14, NLIHC and our state partners met with HUD Deputy Secretary Pam Patenaude. The state partners covered a long list of affordable housing topics, including disasters. Christina Rosales from Texas Low Income Housing Information Services spoke about the Disaster Housing Recovery Coalition’s top priorities, including transparency and oversight for CDBG-DR, DHAP, and fair housing as cornerstones to equitable recovery. HUD’s Office of Public and Indian Housing sent additional guidance for public housing agencies (PHAs) receiving requests from households in Puerto Rico or the Virgin Islands who have Housing Choice Vouchers and wish to use their vouchers on the mainland (port their vouchers) when their local PHA (the “initial PHA”) cannot complete their portability responsibilities (for example because they do not have electricity). HUD issued preliminary guidance via email on October 11 (see Disaster Housing Recovery Update 10/20.) HUD published a list that includes all PHAs in Puerto Rico and the Virgin Islands indicating whether a “receiving PHA” on the mainland can use alternative procedures to complete porting requests. HUD will update this list by 5:00 pm ET every Thursday to reflect changes that allow initial PHAs to resume normal portability operations. This disaster portability guidance will be in effect until January 31, 2018, unless HUD extends this date. November 15 Summary of Known Deadlines. NLIHC has updated its summary of known application deadlines from the FEMA website. The summary includes deadlines for programs administered by FEMA, SBA, DOL, SNAP, and HUD. 469 people (199 families) are temporarily housed in hotels through December 7. Two Application Deadlines. Residents and businesses in the eight designated counties have until December 11 to apply for FEMA Individual Assistance (IA). Right of Entry (RoE) permissions grant government contractors access to private property to remove fire debris and help speed up rebuilding. The deadline for submitting an RoE was Monday, November 13. Flood Insurance. The recent fires have destroyed vegetation that normally absorbs rainfall, making homes more vulnerable to flooding. FEMA is urging people in areas affected by the fires that do not traditionally flood to invest in flood insurance. Mental Health Crisis. Many Puerto Ricans are struggling with their mental health following the trauma of Hurricane Maria. Health officials warn that a full-blown mental health crisis may arise as survivors cope with the post-traumatic stress. For those who were struggling with mental illness prior to the hurricane, the lack of stability and resources is exacerbating their illnesses. Continued Rental Assistance. FEMA reminds renters and homeowners currently receiving FEMA rental assistance that they should submit an application for Continued Rental Assistance in order to receive up to two months of Continued Rental Assistance. Households must show they are developing a longer-term or permanent housing plan or demonstrate progress toward one. A contractor’s estimate of repairs can point to progress. A permanent housing plan is one that would put a household back into permanent safe, sanitary and functional housing within a reasonable time frame. Governor Proposes Removing $92 Million Set Aside from Affordable Homes. Governor Rick Scott’s proposed budget would take $92 million away from the state affordable housing trust funds. If the legislature agrees, it will be the 17th time since 1992 that housing trust fund dollars have been diverted for other uses. A 2017 report by the Florida Housing Coalition indicates that the housing trust fund collected nearly $6 billion over 25 years, but lost $2 billion to diversion to the state’s general fund. Florida was facing an affordable housing crisis prior to Hurricane Irma, and funding for the trust fund helps address the ever-growing need for affordable homes, especially for the lowest income households options. No Power in the Virgin Islands. Two months after the storm, nearly 73% of residents in the U.S. Virgin Islands have no power. The Virgin Islands Power and Water Authority is committed to restoring power in 90% of all areas across the Virgin Islands by Christmas. Last week, the boil-water notice was lifted for St. Thomas and St. John, although it remains in effect for St. Croix. Like Puerto Rico, the territory has a large amount of debt and relies on federal funding sources for rebuilding. Advocates Demand HUD and Houston Address Discrimination in Infrastructure Spending. On October 31, the Texas Low Income Housing Information Service (TxLIHIS) sent a letter to Anna Maria Farias, Assistant Secretary for Fair Housing and Equal Opportunity at HUD, asking that HUD immediately investigate Houston’s failure to provide essential water control infrastructure and floodplain protections for predominantly minority neighborhoods containing significant concentrations of affordable housing. TxLIHIS alleges that the City’s failures amount to discrimination on the basis of race and national origin, violating Title VI of the Civil Rights Act of 1964, the Fair Housing Act of 1968, and the obligation to affirmatively further fair housing under the Fair Housing Act of 1968. Improperly engineered open storm drainage ditches, locating affordable housing in floodplains and failing to assure equal flood protection expose residents of these neighborhoods to repeated displacement during floods, loss of personal property, exposure to mold and environment contaminants, and increased exposure to diseases spread by floodwater. These problems have been raised publicly and repeatedly by TxLIHIS and others with Houston officials, and are documented by the City’s own study of drainage infrastructure, but have not been remedied by the City. TxLIHIS sent a separate letter sent to HUD on October 31 demanding that HUD take immediate action to deliver a Voluntary Compliance Agreement that outlines a path for Houston to correct housing discrimination described in a January 11, 2017 HUD letter (see Disaster Housing Update, 11/9). That letter also addresses Houston’s failure to provide equal levels of flood protection to African American and Latino neighborhoods. While majority white, non-Hispanic neighborhoods are generally provided internal storm water infrastructure offering adequate protection from street and structure flooding, most neighborhoods of people of color are still served by informally developed, open-ditch drainage infrastructure that was inadequately designed and that frequently results in inadequate storm water protection. First Home Assisted Under Direct Assistance for Limited Home Repair Program. A media release dated November 10 and posted on November 15 to the Texas General Land Office (GLO) indicates that repairs were completed on the home of the first recipient of the Direct Assistance for Limited Home Repair (DALHR) program. A video and still photos are available on the GLO website. DALHR, which provides permanent repairs for homeowners with moderate damage, is one of five FEMA programs GLO is administering to provide housing assistance for hurricane survivors. To be eligible for DALHR, if a home had at least 18 inches of water and a FEMA inspection shows a loss of at least $17,000. Uninsured damages must be less than 50% of the pre-disaster tax assessed value and may not exceed $60,000. Repairs must be made within 90 days. Homes located in the Special Flood Hazard Area are not eligible.